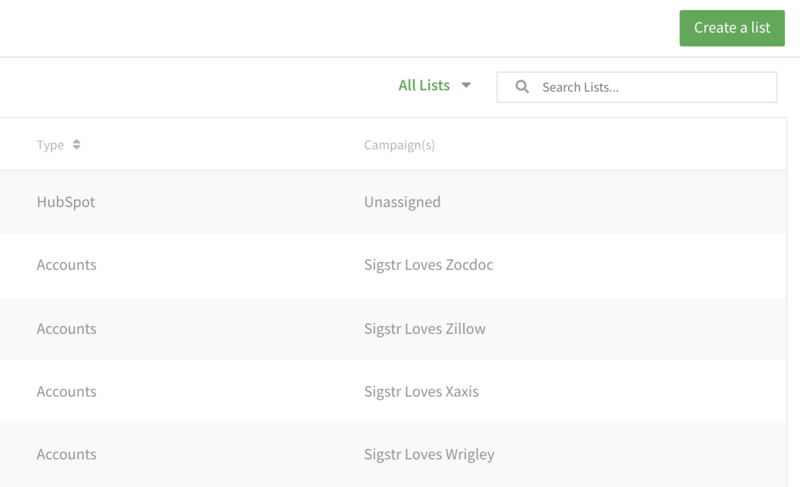 Manage your ABM efforts seamlessly by taking advantage of Sigstr's recipient management functionality. 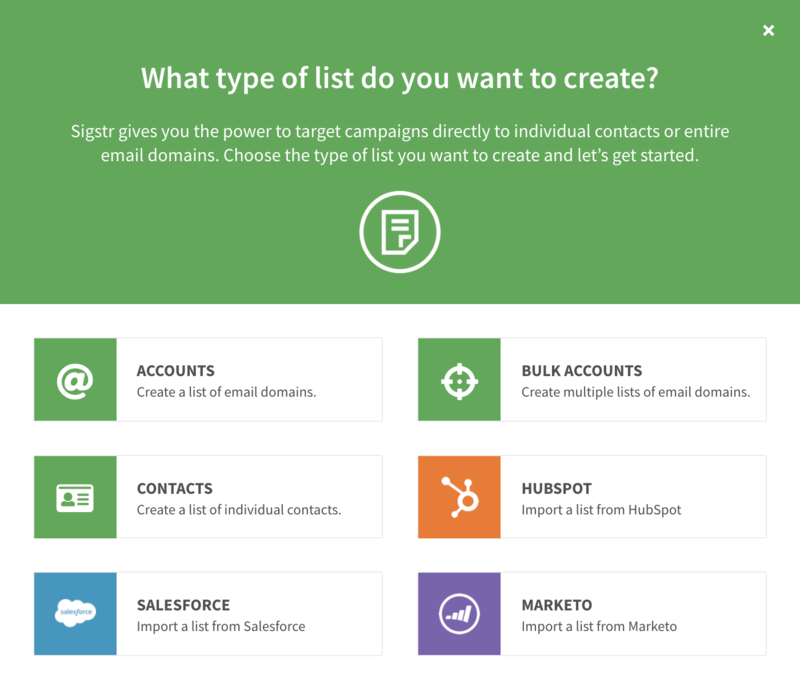 Import contact data to align to campaigns now and in the future. 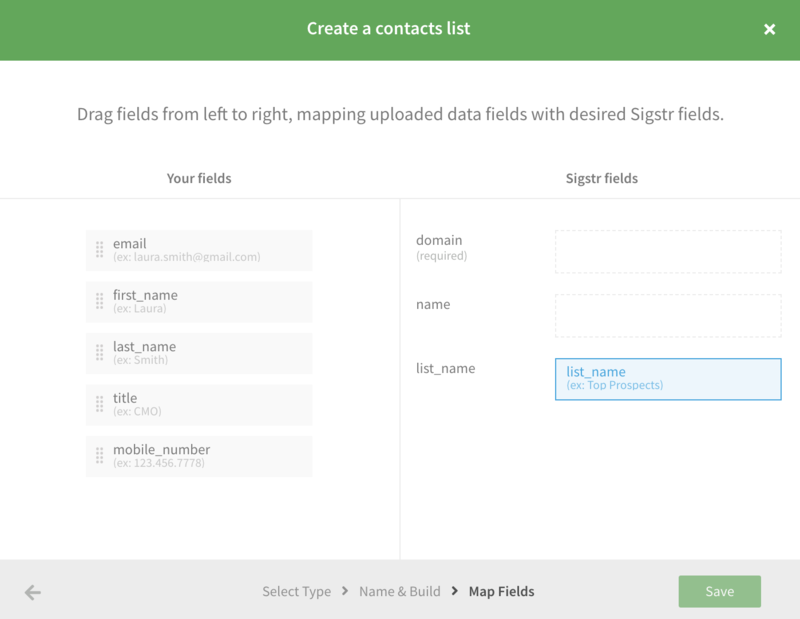 Navigate to Sigstr's Recipient section and select Create a List. Choose between manual uploading a CSV file or importing contact data from a 3rd party platform like HubSpot, Marketo, or Salesforce. If you upload a CSV file, choose between targeting individuals via the Contacts option or entire domains via the Accounts option. 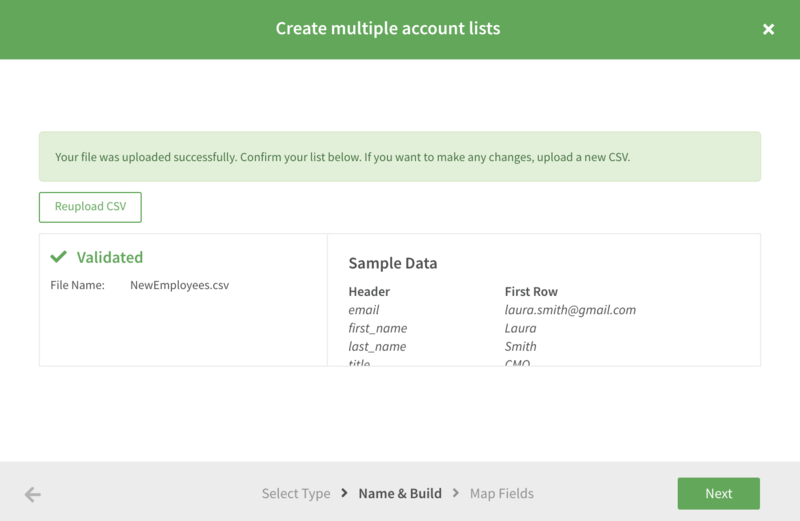 If you would like to import contact data from a single source to create multiple recipient lists at once, select ABM Uploader. Follow the directions for whichever import option you choose. Click Save to create your list. 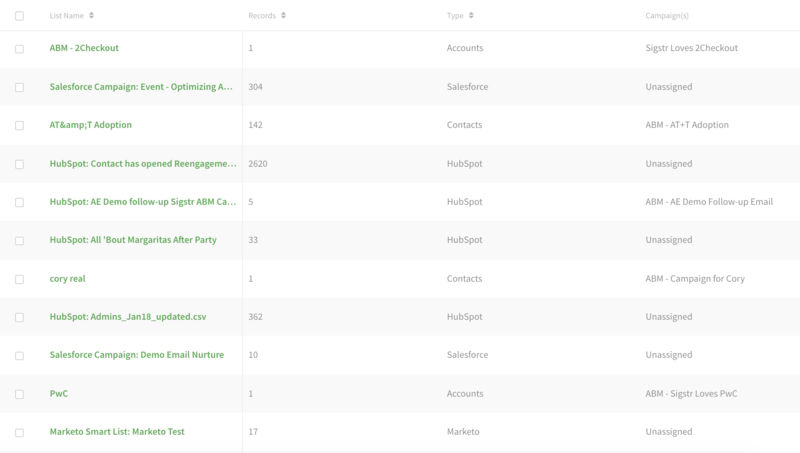 See which lists are already aligned to content using the far right column on the recipient page. If you would like to align your newly created lists to ABM campaigns, follow the directions found here.